So sad to hear about the wild animals escaping. Its terrible that they had to be shot. A private citizen should have never had animals like that on his property in the first place. It seems like the owner wasn't taking care of them anyway. Its just awful that so many innocent animals had to die. I liked Anderson's interview with Jack Hanna. I was waiting patiently for Anderson to ask Jack Hanna WHY this person was allowed to keep so many exotic animals, who are on the endangered species list, on his property. According to Jason Caroll, the police were familiar with this person and had been to his site previously for various violations. These animals could have been saved, if the law had been enforced, but as usual, it isn't until tragedy strikes, that we look back and say, "How could this have been prevented?" Anderson did admit that he made a mistake last nite when he said 47% of the population does not pay taxes. He said this during the debate and he was chastised on twitter, it seems by those in the know. It was Federal taxes, but the number seems large anyway. 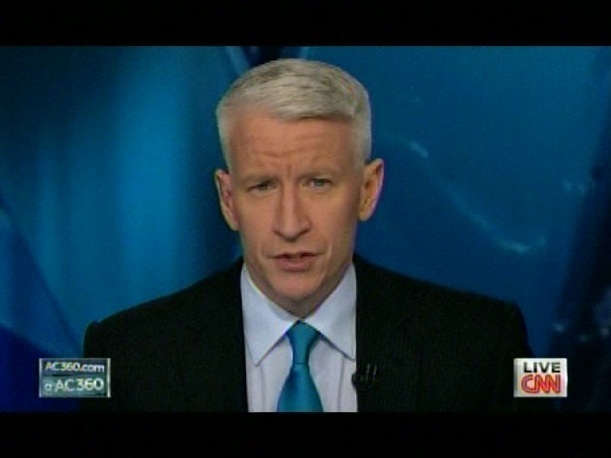 Good to see Anderson keeping himself honest and correcting his debate mistake about taxes. How awful it was to see the video of those beautiful animals that were shot--I thought tranquilizing them would be the humane solution, but apparently that's not always possible. If 360's unwilling to devote a chunk of time to current stories like Occupy Wall Street, they could at least give updates of it during the bulletin--they focused on the protests in Greece but not here. Why are they wasting time telling viewers about Lindsay Lohan instead something of real significance? Judy, I heard Dennis Kucinich say in an interview that Ohio law does not prohibit the keeping of exotic animals. I'm sorry, I don't remember if that interview was on CNN or MSNBC. I agree, it was heartbreaking for these beautiful animals, and senseless.